Highway 160 (Steele Creek Road)/Hamilton Road Intersection. The construction of upgrades to this intersection were expected to be completed last year, but the relocation of utility poles took nine months instead of two. When bids were requested in December 2018, no bids were submitted. 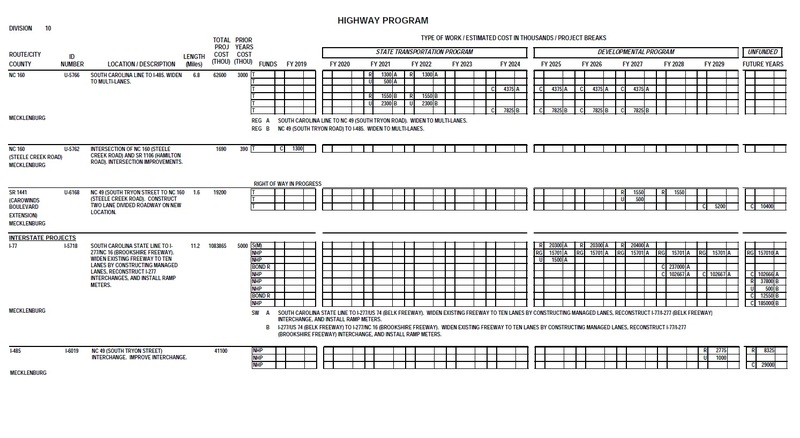 Bids are again being requested, and NCDOT hopes for reasonable bids by February 16. If so, the upgrades could be completed by the end of summer. Total projected cost is $1,690,000. Plans call for left and right turn lanes and left turn arrow signals in all four directions. The major cause for the delay is a statewide funding problem. Expenditures are outpacing revenues, and projects statewide have been delayed. But the project would have been delayed for a year anyway because of design issues. They considered a grade separation (bridge) for the railroad tracks to pass over Highway 160, but since there are only two trains a day, this will be a grade crossing. NCDOT and Charlotte Department of Transportation engineers are working on a design for the Highway 160 and Highway 49 (South Tryon Street) intersection that will work efficiently. Plans call for Highway 160 to be widened to four lanes with a grassy median, bike paths, and sidewalks from the state line to Shopton Road West and to six lanes from Shopton Road West to I-485. However, because of the delay, certain sections may be further upgraded. Construction is expected to last for four years. Total cost is projected to be $62,600,000. 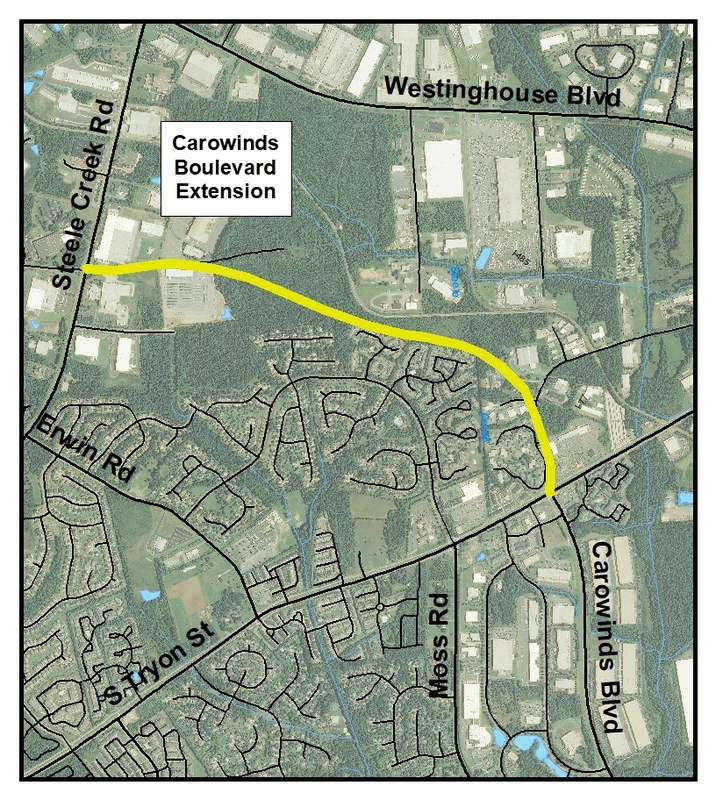 An extension of Carowinds Boulevard will be constructed from South Tryon Street at John Price Road, running around the north side of the Crossings development, and connecting to Sam Neely Road. It will be a two-lane divided highway. Plans call for right of way acquisition and utility relocation to occur in fiscal years 2027 and 2028 and for construction to occur in fiscal years 2029 and later. Funding for projects in the first five years of the STIP are considered secure (although subject to delay). Since the Carowinds Boulevard extension is after the first five years, it is subject to reprioritization. Total projected cost is $19,200,000. This project extends from the South Carolina state line to I-277/US 74 (Belk Freeway). Widen existing freeway to ten lanes by constructing managed (toll) lanes, reconstruct I-77/I-277 (Belk Freeway) interchange, and install ramp meters. Construction is expected to begin in fiscal year 2028. Total projected cost is $1,083,865,000. This interchange will be improved. Construction is expected to begin after fiscal year 2029. Total projected cost is $41,100,000. Click on the image below to view a detailed, revised schedule. NCDOT is holding a Public Comment period until April 15, 2019 to seek input on the Draft STIP. Use the NCDOT web page for submitting comments, or comments may be made in person at the District 10 office in Albemarle (716 West Main Street, Albemarle, NC 28001). 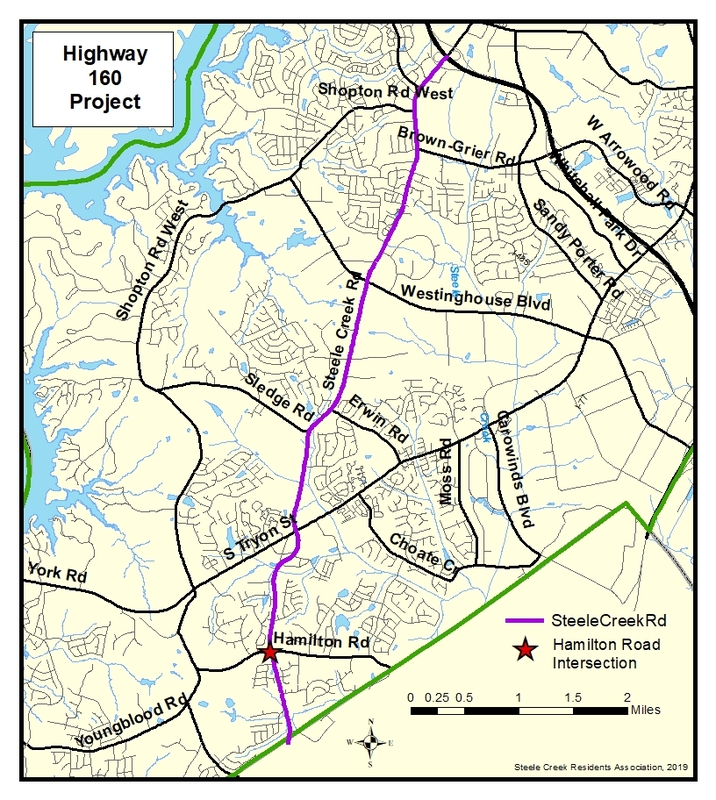 However, you may submit comments now through early June when the final STIP is expected to be approved to Division 10 Planning Engineer Stuart Basham at slbasham@ncdot.gov.